Aerial view of downtown Belfast. 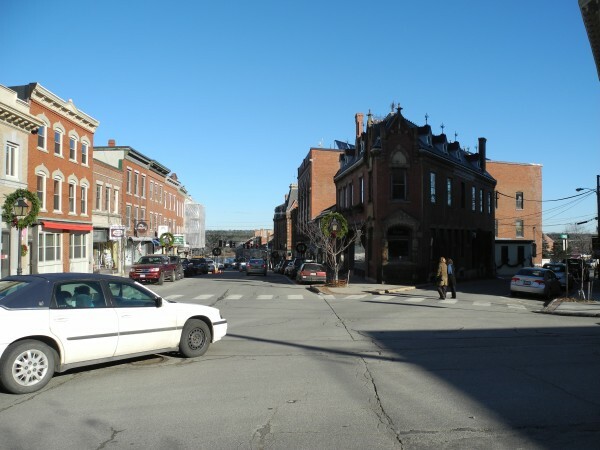 A view of Main Street in downtown Belfast. BELFAST, Maine — Those who have lived through Belfast’s ups and downs through the last four decades say the bustle and buzz that now hold sway are no happy accidents. Sure, assets like the city’s location at the intersection of Routes 1 and 3, picking up tourist traffic bound for Bar Harbor, help. So do the bones of the downtown, with fine examples of 19th century brick buildings leading to the harbor. Not everything that Belfast did can be replicated, officials admit. But the players in Belfast’s revival believe they have a formula that works. It risks some public money, but by hedging that bet with lots of homegrown energy, the chances of a return are increased. 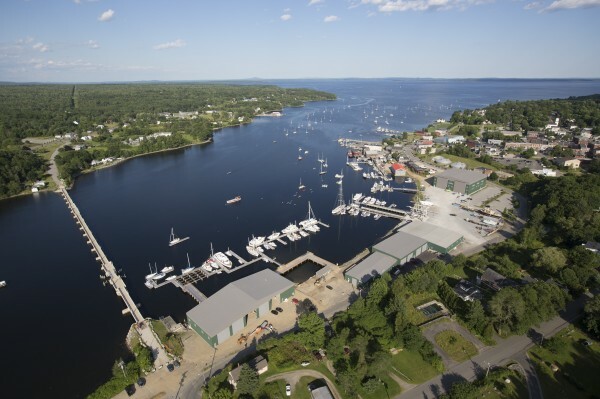 That view is echoed by a statewide downtown advocacy group and a midcoast planning group. Shop and restaurant owners remarked this summer how busy the sidewalks were with tourists. Brian Horne, who has worked at Colburn Shoe for 40 years, owning it for the last 26 years, said summer business was up over the last few years, a sentiment echoed by other business owners. The Front Street Shipyard, which services yachts, added jobs and pumped millions into the local economy over its two-year existence. The hundreds of back-office jobs at Bank of America and athenahealth continue to undergird the service economy. Newcomers like Breanna Bebb, who started working as the director of the nonprofit downtown booster group Our Town Belfast in July, and natives like Walter Ash, the city’s mayor and owner of an auto repair shop in town, repeat the same answers to the question of what went right. And it’s more than the busy tourist traffic seen statewide. They say what’s gone right in Belfast is the result of investment, relentless promotion, cooperation among the players, a commitment to highlight the positive and maybe a little luck. Outsiders also have observed the transformation. Jane Lafleur, now executive director of the Friends of Midcoast Maine, a planning advocacy group, remembers attending a meeting in Belfast after the last of the major plant closings in the 1980s when she was with the Maine Development Office. Despair and hopelessness were the dominant sentiments, she recalled. Twenty years later she was invited by downtown businesses to another meeting and again, she said negativity and concern were expressed. “I remember saying, ‘I know things seem bad, but you have a beautiful downtown, protected from massive traffic jams, in an enviable spot on the water, with strong, attractive housing, good schools, a good government and engaged citizens. You are a diamond in the rough. Make the most of it,’” Lafleur recalled. Belfast is one of 10 Main Street communities in the state, notes Roxanne Eflin of the Maine Development Foundation’s Maine Downtown Center. 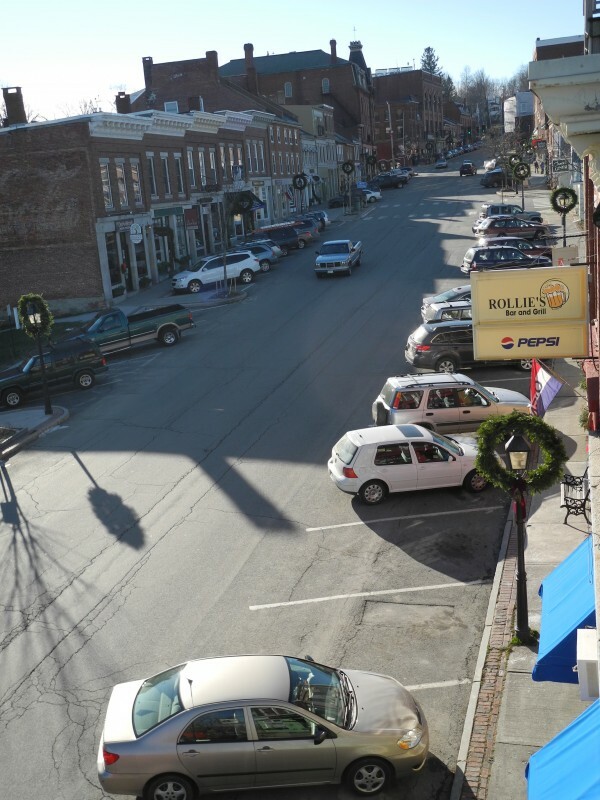 The Main Street program works with towns to follow its four-point strategy of organization, promotion, design and economic restructuring. The way forward boils down to some core elements, she said. “It’s all about leadership — courageous leaders that are willing to be creative and flexible,” she said. And focusing on downtown is key. For every $1 invested downtown, communities can see a return in $27 of economic activity, Eflin said. Whether it’s pulling weeds and painting benches or investing much more money in buildings and infrastructure, downtown should be the target for community leaders, she said. Belfast leaders saw the return on their efforts this summer, despite the tepid economy. “There was some kind of magic,” Bebb said of the summer season that ended. One reason is the nearly full calendar of events: Arts in the Park, the Maine Celtic Celebration, Belfast Harbor Fest, the Belfast Bound Book Festival, the Belfast Poetry Festival, the Belfast Street Party, Wienerfest, the Belfast Free Range Music Festival and New Year’s By the Bay. The New Year’s celebration “is part of the reason I moved here,” said Bebb, who grew up in Winter Harbor. The almost-non-stop festivals “establish that Belfast is a good time,” she said. People who haven’t visited since the days when chicken feathers blew through the streets often remark on the positive changes. Bebb, the lone staffer of Our Town Belfast, also stresses the role the arts have played. Our Town shares an office with the Belfast Creative Coalition, another one-person organization that networks and promotes artists and artisans Waldo County-wide and publishes a cultural calendar of events. This year’s public art installment, “Please, Be Seated,” invited area artists to create their take on a bench or chair, which were secured at various places around the downtown. An earlier public art display featuring fiberglass bears also put Belfast on the map, especially for day trippers from Maine. “My grandmother took me here to see the bears” as a teen, Bebb recalled. Our Town created a glossy fold-out map it distributes in area hotels. Some 30,000 were printed, “and we ran out this summer,” she said. She often saw people using them while walking the streets. Some locals were skeptical about the sorts of stores that began appearing several years ago — boutiques, galleries and curio shops — surviving and helping the downtown. But Bebb disagrees. Stores like City Drawers, devoted to underwear, are the “culmination of Belfast becoming what it is,” she said, making it — for the first time ever — a destination, particularly for day trippers. Restaurants also are important, she said. Belfast has 18 eateries, ranging from the Lost Kitchen, featured in the New York Times, to McDonald’s. Our Town is in the midst of a business inventory designed to identify what is missing in the mix. Bebb also lists some recent national press accounts of Belfast as a place worth visiting and stresses the importance of promotion. She cites a BDN story about a “mystery woman” who rode a bus to visit town as generating buzz in Maine. “We haven’t been afraid to tell people about Belfast,” she said. Mike Hurley, the city’s unofficial downtown cheerleader, moved here in 1980 when the city’s fortunes were “at the bottom,” he remembers. He has run a restaurant and bar, a store and now the Colonial Theatre with his wife, and serves on the city council. He’s seen the lean times, when city leaders looked for a big score, such as a business relocation. “Turns out, it’s a hundred little things,” Hurley said, and compares the policies that help grow a town to dropping pennies on a scale. The city is doing several things, which collectively cost more than pennies but which Hurley believes are essential. Taking care of the downtown is critical — sidewalks, streets, lighting, parking, plowing, signs — he said. “Clean your downtown” is the advice he gives other Maine communities. And it would be smart, Hurley believes, to have a point person or organization advocate for downtown businesses, just as the Bangor Mall has a manager to look out for tenants. “Unfortunately, that’s what this herd of cats needs,” he said of his fellow downtown business owners. Encouraging the arts also works, Hurley said. “It’s a big industry. What we do give them here in Belfast is respect,” he said. The city also hired its first economic development director, Thomas Kittredge, who has landed some $1.4 million in state grants in the last few years. Instead of the annual battle that would play out over whether the council would help fund the Chamber of Commerce, “We fund them now without beating the [stuff] out of them,” he said. Ash, the city’s mayor, a native who has lived more than six decades in Belfast, takes a longer view of the recent success. “It’s things that prior councils put in place years ago,” he said, such as tearing down an old grain mill in the early 1980s and building a breakwater and boat ramp in its place. Covering the nearby sewer treatment plant tanks to contain odor and securing land for the city waterfront where the railroad used to operate also set the table, Ash believes. “It’s been a number of different things,” he said. The city has continued such infrastructure work, he added, such as rebuilding decrepit sidewalks and adding new ones. Brian Horne has worked at Colburn Shoe on Lower Main Street since 1972. Like the others, he’s survived the bad times. “You didn’t have far to go to hit bottom,” Horne said, recalling the common refrain about Belfast, “but a little prosperity shows.” His business is seeing that prosperity, with steady growth in 2012. Horne believes downtowns are critical to local economies. “It’s almost the face of your community. When people think of their community, they think of their downtowns,” he said. Tourists often remark that they thought old-fashioned stores like Colburn Shoe and Home Supply Hardware next door had disappeared. And they love that authenticity, he said. So does a coordinated effort. “It’s very important when everyone moves in the same direction,” Kittredge said. Some of the grants he helped land will pay to build a pedestrian walkway along the harbor. The city must match the grants, and that spending has generated criticism of the council for paying for such amenities. But Hurley, Bebb and others say it is these sorts of investments that pay long-term dividends, such as those Belfast is now earning. “From an outside perspective, Belfast did many things right,” Lafleur observed. “The city is growing without losing itself, its roots and its history. By focusing on its assets, the water, the maritime industry, the arts and food scene, and the downtown and letting things happen there, positive changes are taking place.